Thanksgiving is around the corner, and if this brings to mind turkey, leaves and pumpkins only for your table decor, perhaps it is time to rethink it. 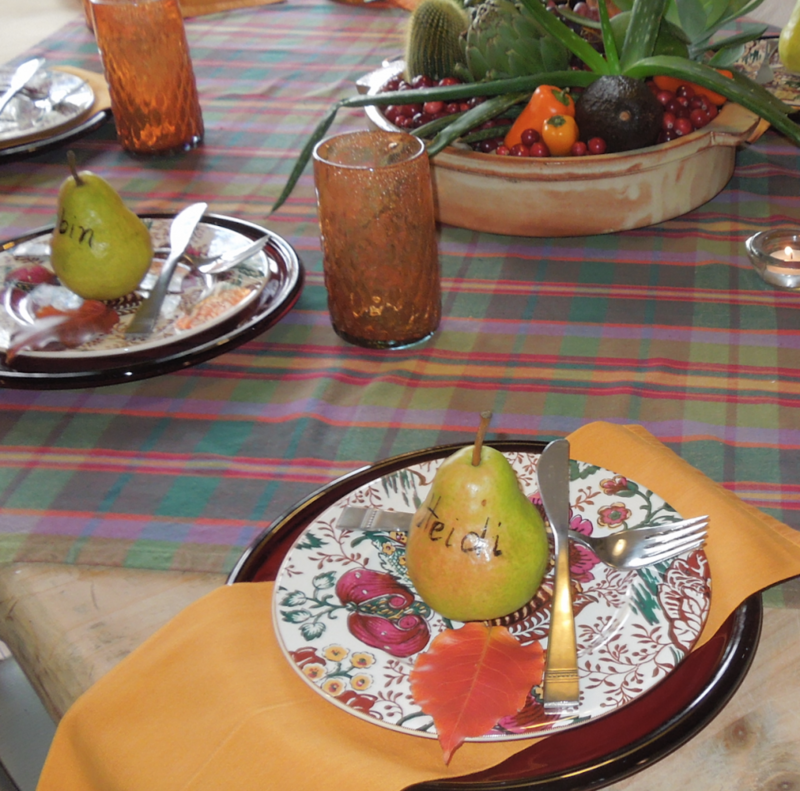 There are many different ways to be creative and make a beautiful table to celebrate Gratitude! Each year, I like to challenge myself, creating something different. 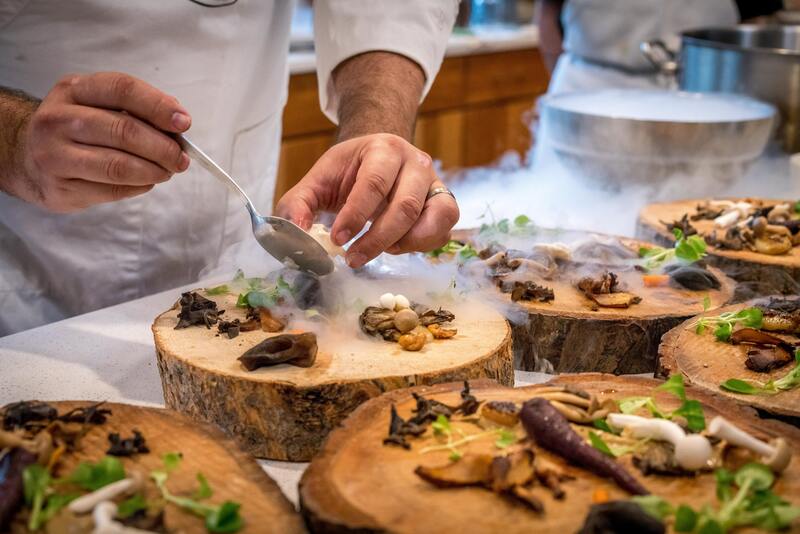 This year, I want to think Thanksgiving totally out of the box . . 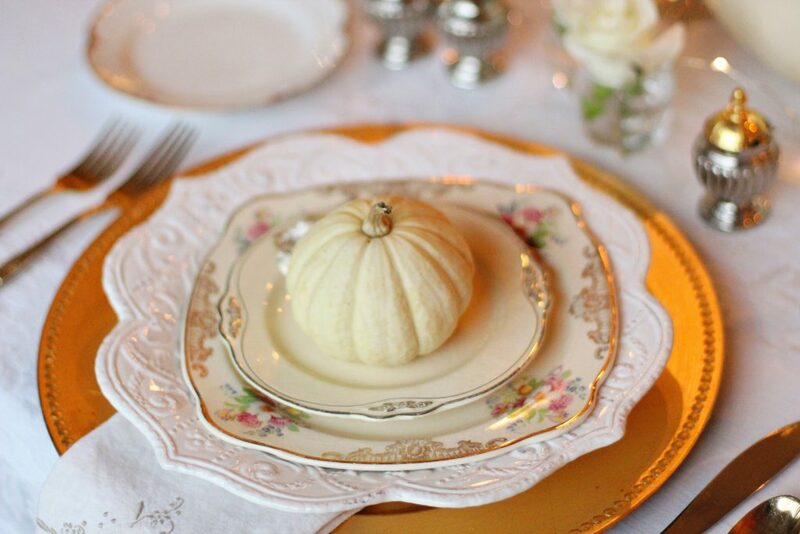 This is the opportunity for many to use mom’s beautiful plate setting or even better grandma’s passed-down heirloom. It will make a beautiful classic table that won’t fail to make a special presentation. 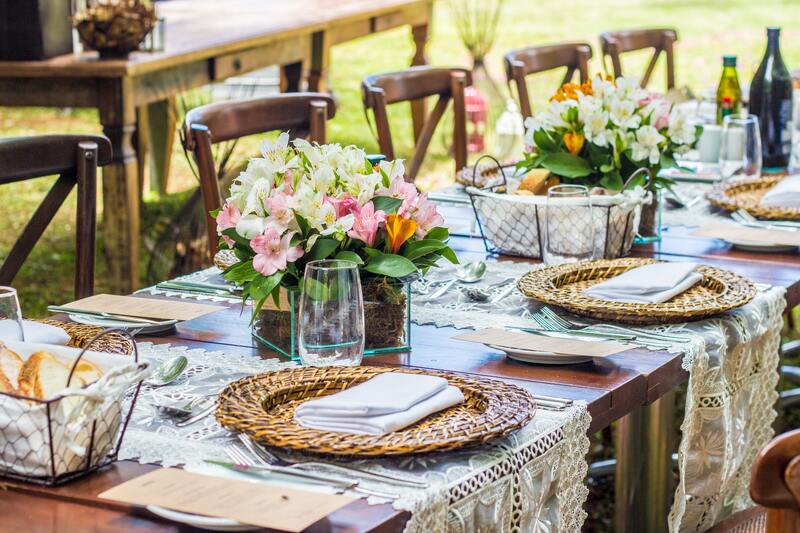 But if you are not lucky enough to play with grandma’s dishes, you can make a simple table look festive with natural organic materials like a few sprigs of fresh Eucalyptus, Lemon tree, Lavender or Rosemary and candles. I always love cloth napkins; I never regret the wash-iron-fold process. That’s what makes the table special. 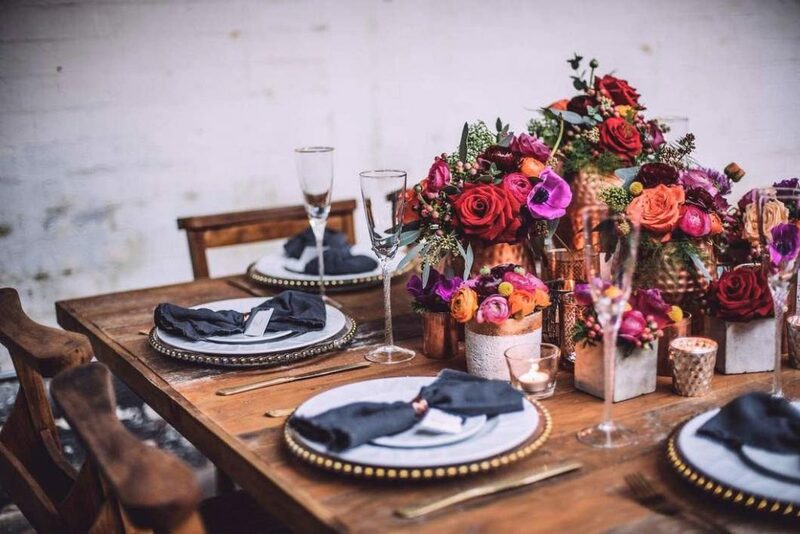 If you like to be more casual, and want to stay away from the pumpkin/turkey decor, you can use your rustic table and simple white dishes, and then embellish it with colorful flowers in all sorts of mismatch vases. Beautiful flowers never fail . . . Here is a thought if you have run out of ideas. This is a table I did a couple of years ago in my son’t first apartment where the space and the decor supplies were limited: succulents, artichokes, avocados in a clay pot full of cranberries. Naming the family and friends on a pear was easy and fun! 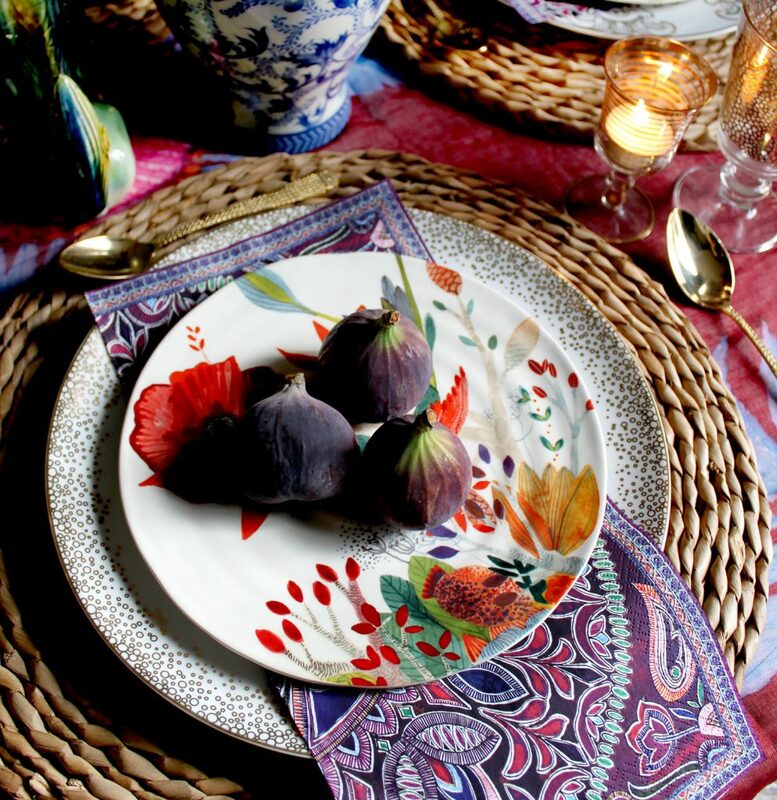 Thanksgiving doesn’t always mean earthy, fire tones. 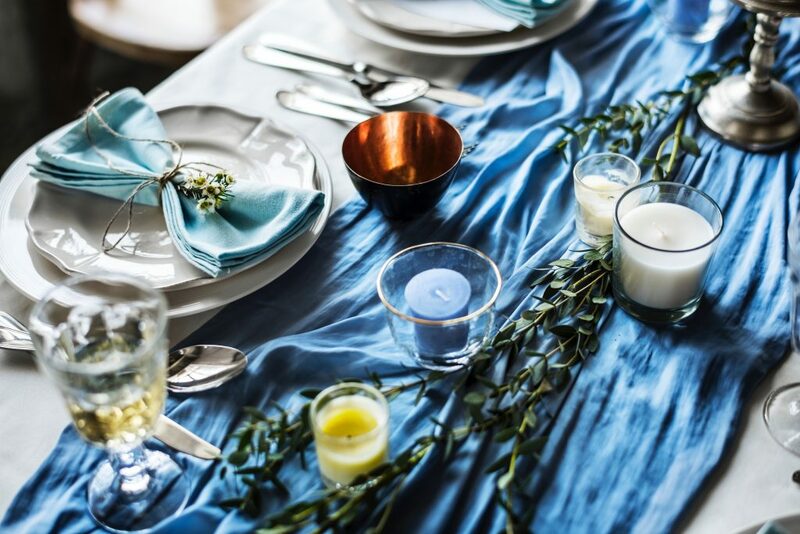 Being in Florida, I love my ocean blues and I would imagine others love them too, giving the table an abundance of freshness! A little more adventurous? House on a lake? Let’s stay away from the crowd and wow your guests. Individual wood slabs will be the ‘gobble’ plate. And you won’t even have to wash the dishes! Nowadays, many people are vegetarian. What happens if Turkey Day has no turkey? Then, it is not about the turkey, it is about expressing thanksgiving through a range of irresistible vegetable dishes. And Turkey Day will still be a day to gather and celebrate abundance. Thanksgiving does not always have to be a sit-down dinner. 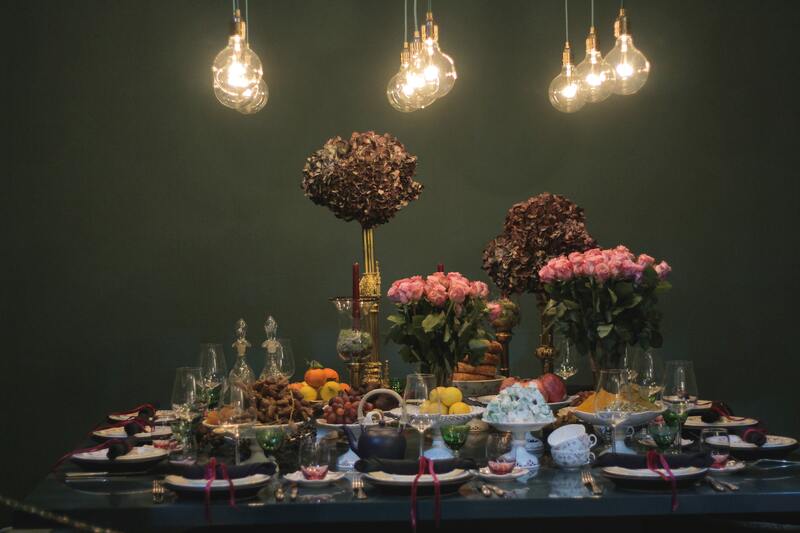 You can gather all your treats on the table, married with flowers and fruit in all heights and let people help themselves and mingle around. The table still will be inviting and the focal point of the day! 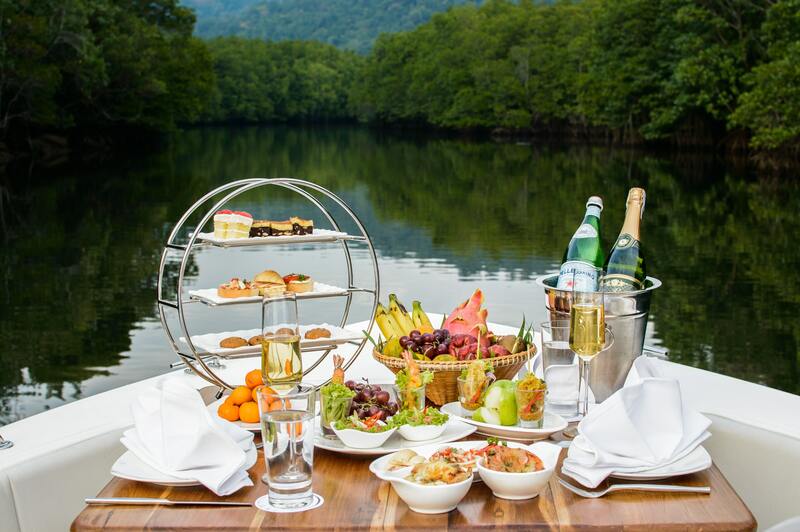 If you are lucky enough to have a boat, here is a great Thanksgiving dinner twist! You should really be grateful for the opportunity of such a treat and the amazing view! 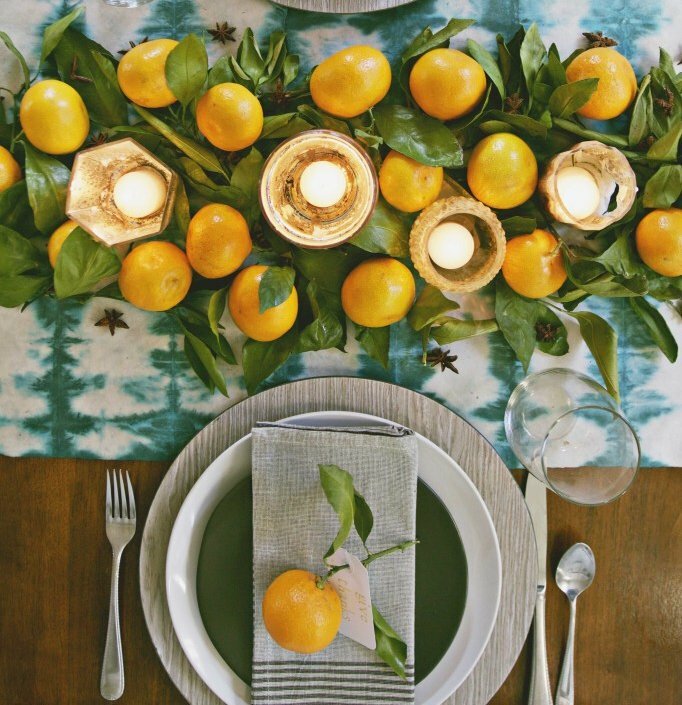 So if you are tired of the turkey paper napkins from the grocery store, and you are willing to wash and press a few linens, let your creativity run and be playful. There are many different ways to be Thankful!